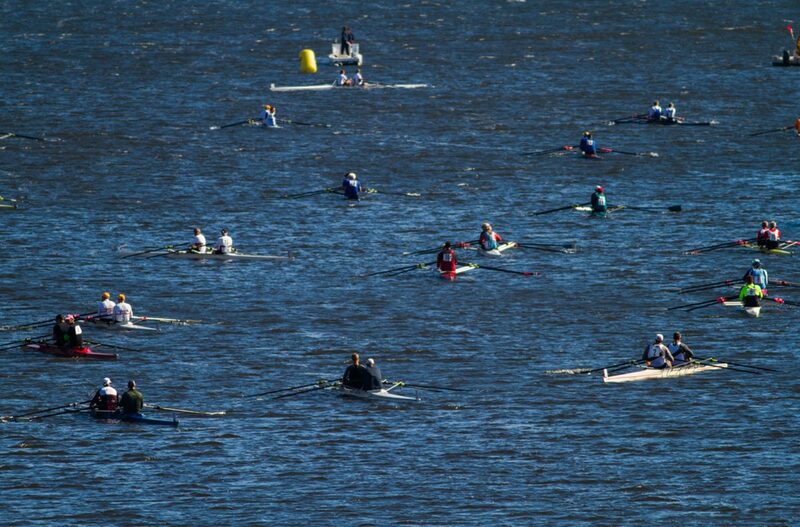 More than 2,000 boats competed in the 51st edition of the world's largest two-day regatta. By Sarah Fisher·	 10/19/2015, 11:04 a.m. 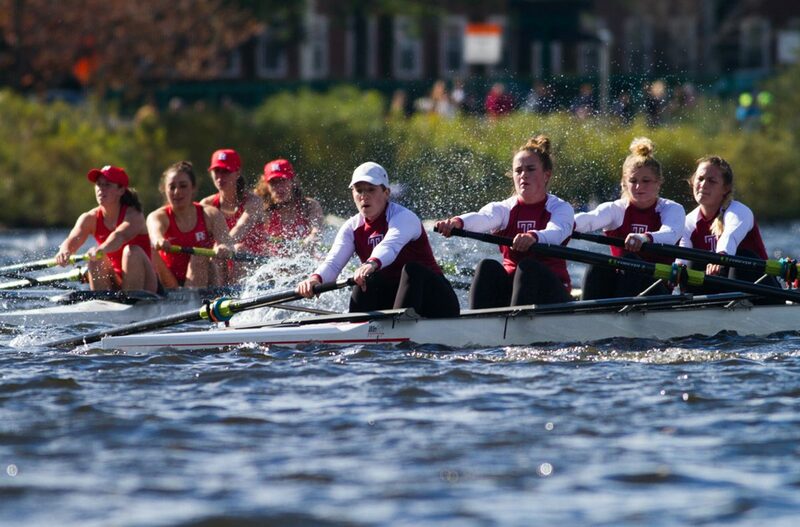 Despite cool temperatures and high winds, thousands of spectators lined the riverbanks this weekend to watch the 51st Head of the Charles Regatta. 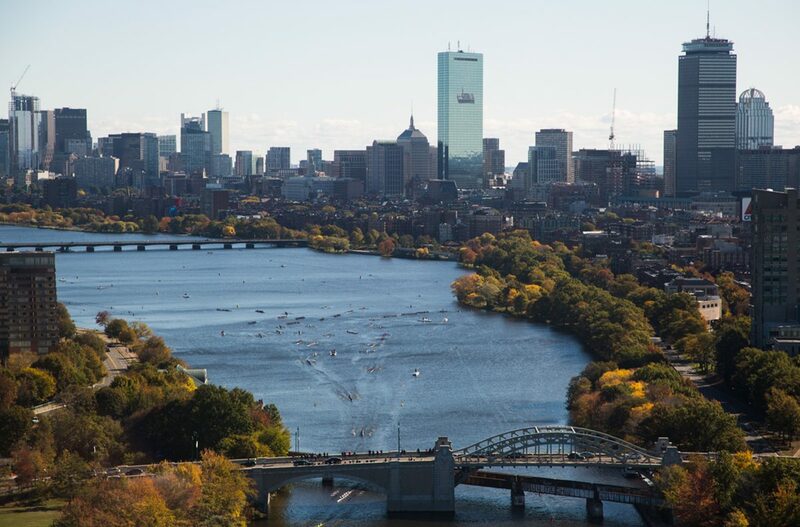 This year, more than 2,000 boats containing 11,000 athletes paddled down the historic three-mile course on the Charles River. 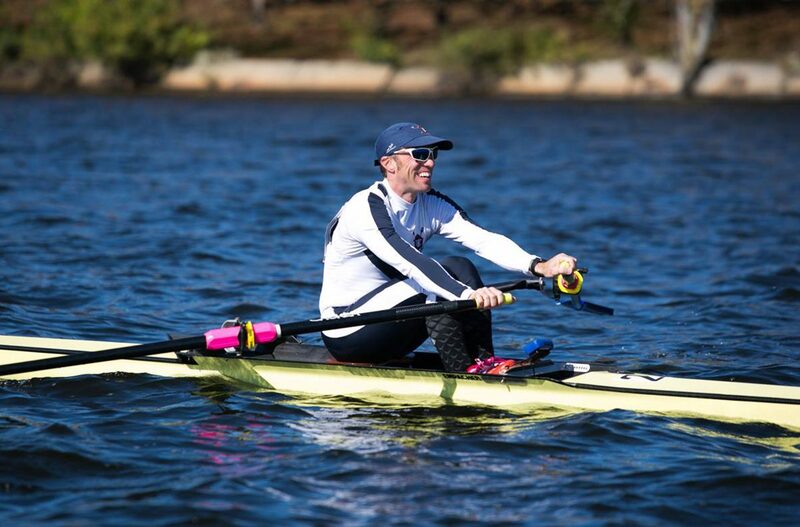 In the singles race, two Olympians took the top spot: Gevvie Stone, originally from Newton, and Mahe Drysdale, of New Zealand, won the women’s and men’s races, respectively. 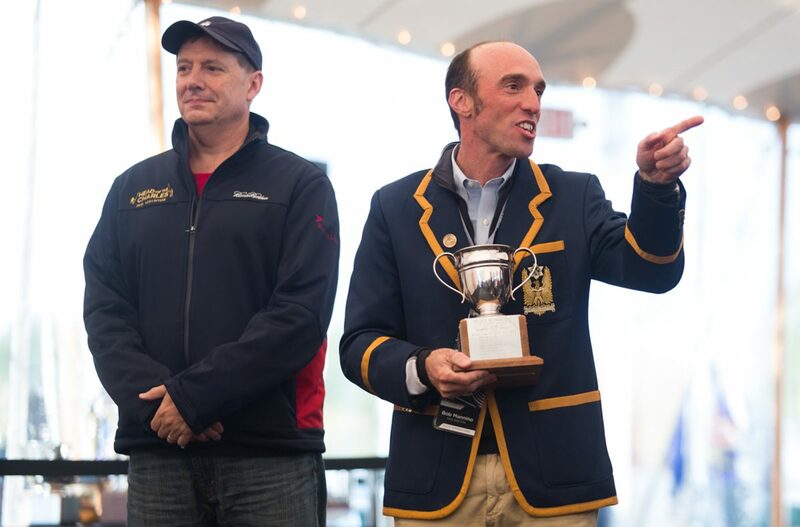 In the championship eights races, two unexpected winners took home the trophies. 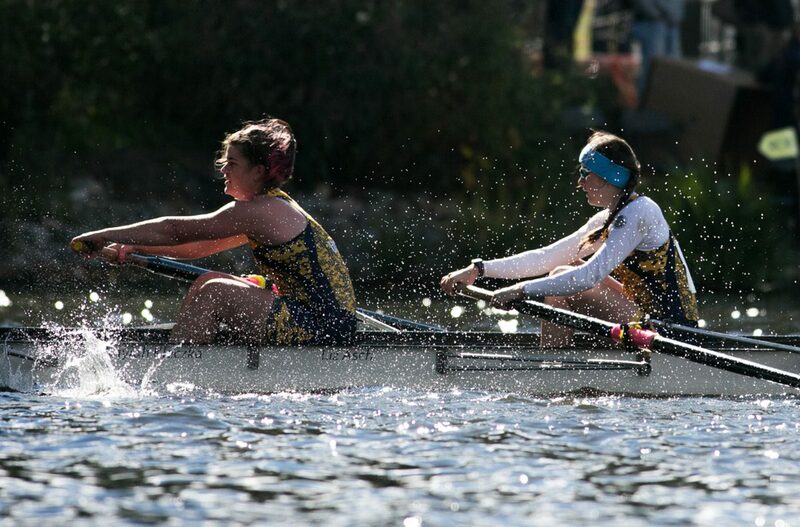 In the women’s race, the team from University of California, Berkeley, took the top spot, despite not having participated in the Head of the Charles since 2002. 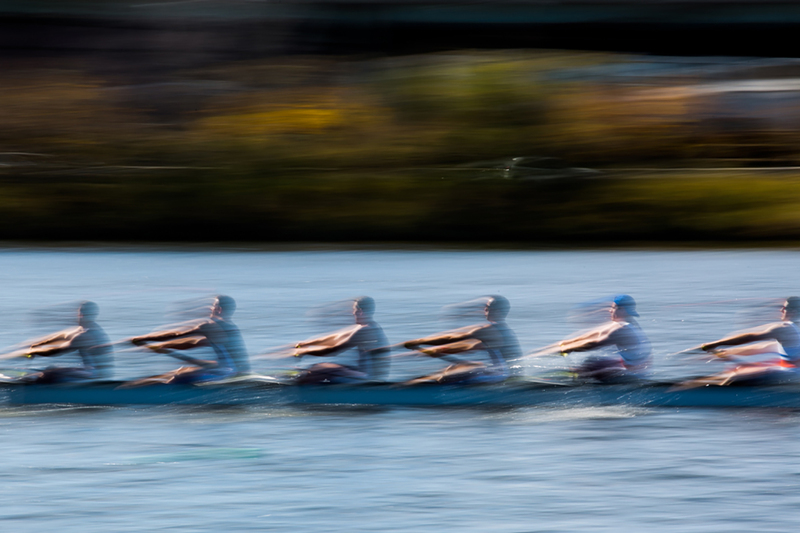 The Yale team won the men’s race, claiming their first men’s title as well. Spectators of all ages joined the weekend’s festivities. Food and activities vendors lined both the Boston and Cambridge sides of the race, featuring free samples, fried treats, and even Olympic athlete meet-and-greets (sponsored by Team USA). As in previous years, events were hosted at the Weld Exhibition and Reunion Village near the middle of the course. 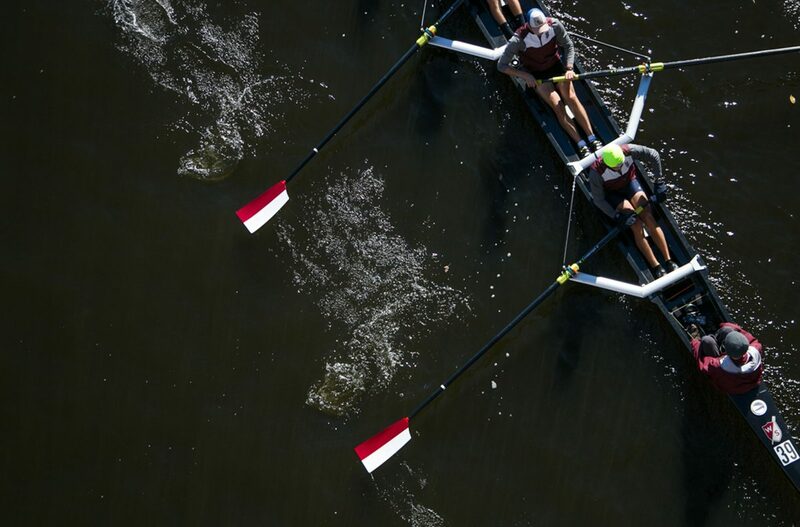 At end of the course, the Rowing and Fitness Expo displayed the newest rowing machines, oars, and shoes. 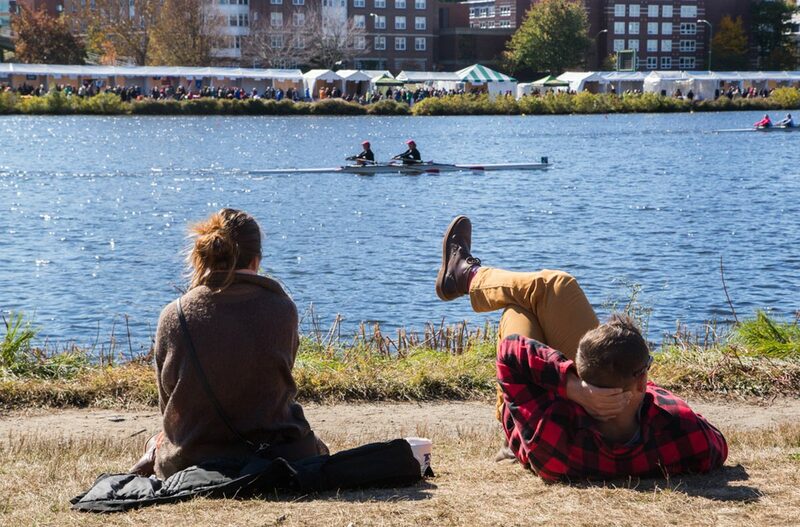 Check out scenes from the 2015 Head of the Charles Regatta below. 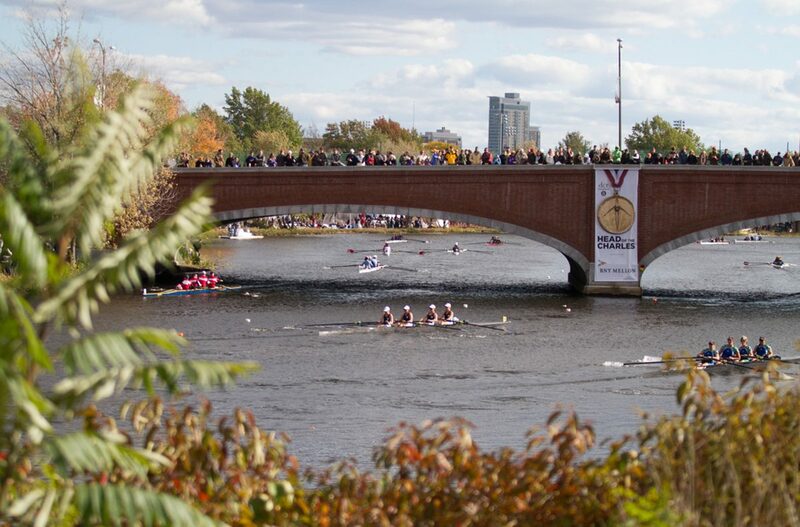 Competitors line up near the BU Bridge before the race. 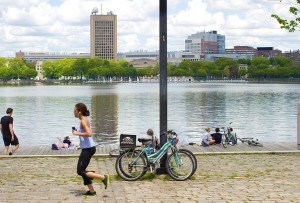 Competitors warm up near the BU Bridge early on Saturday morning. Race director Bob Mannino races down the course. 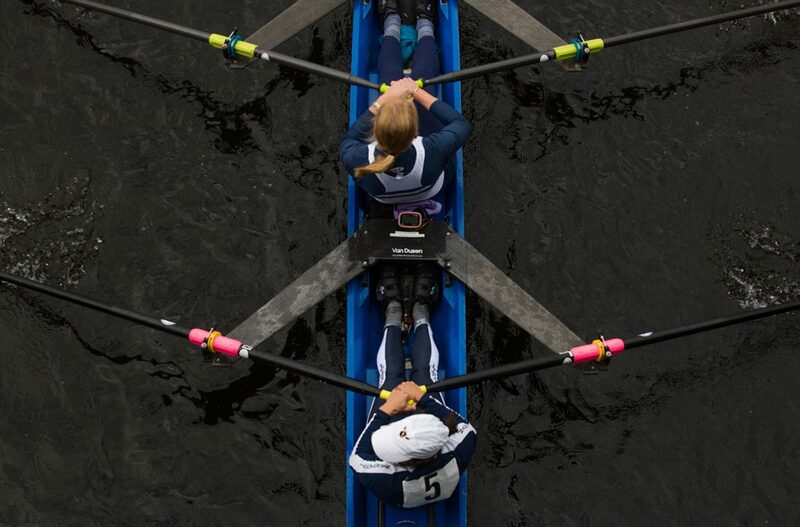 Around 11,000 athletes participated in this year's regatta. 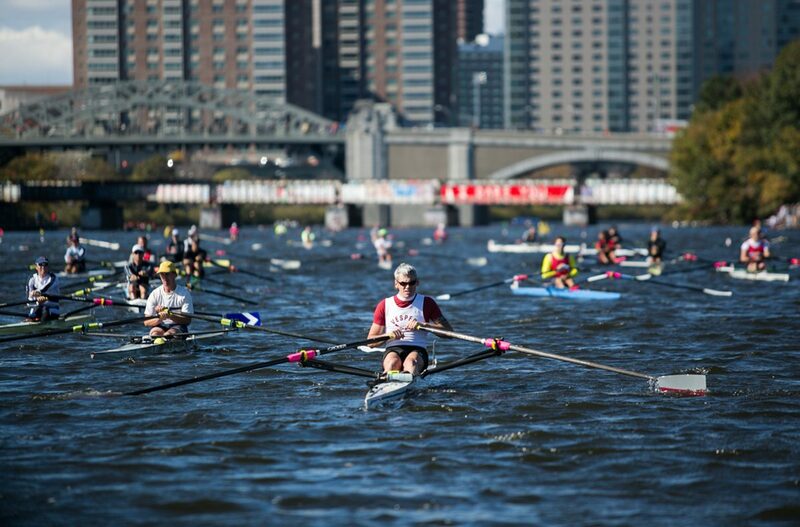 More than 2,000 boats rowed down the Charles River. 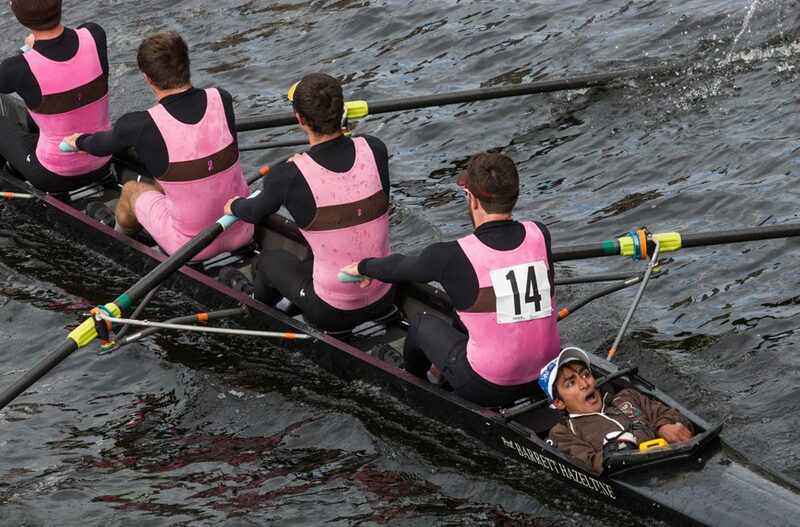 The Brown University team row in the championship men's fours race. 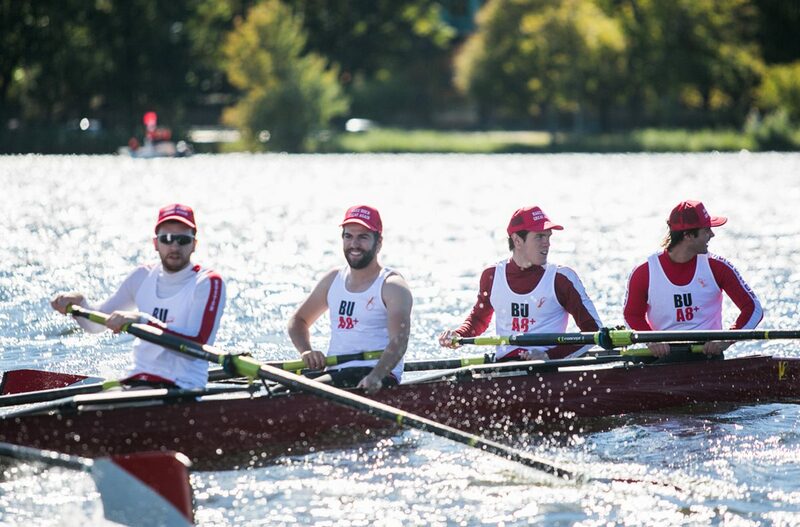 The BU alumni team participating in the men's eights wore 'Make HOCR Great Again' hats. 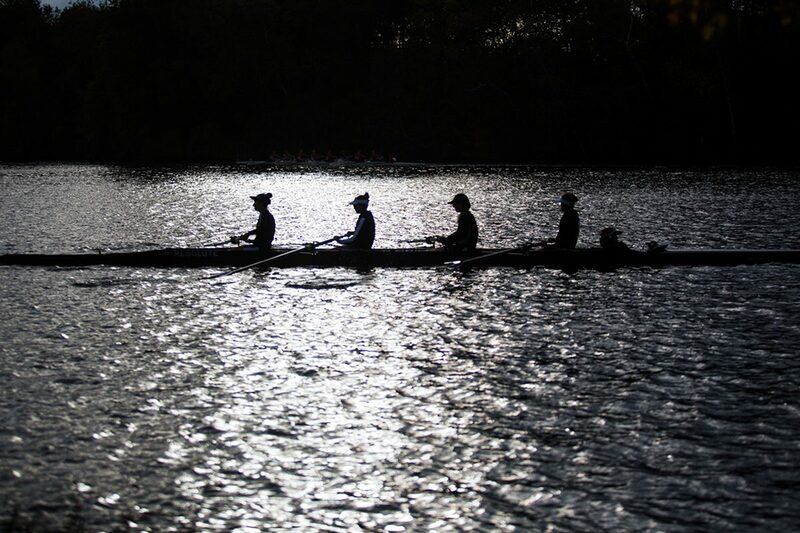 Women's teams from Rutgers and Temple compete in the fours race. 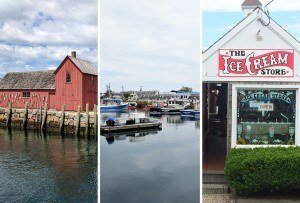 Spectators watch the race across from Weld Exhibition and Reunion Village. 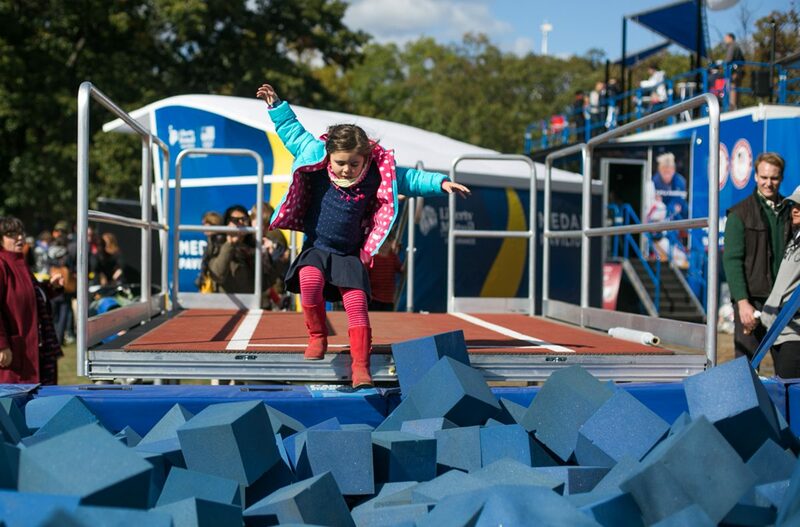 Clover Dalton, 4, from Long Island, visits Boston with her family every year for the regatta. 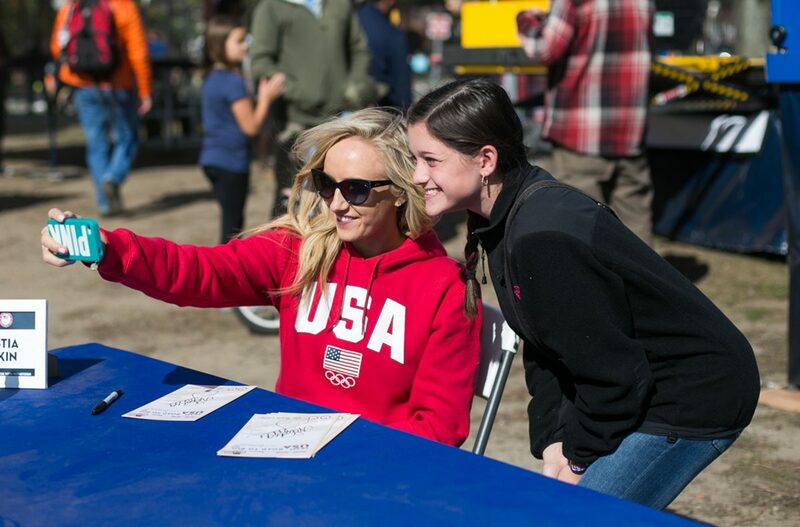 Team USA hosted a meet-and-greet with athletes, including Olympic gymnast Nastia Liukin. 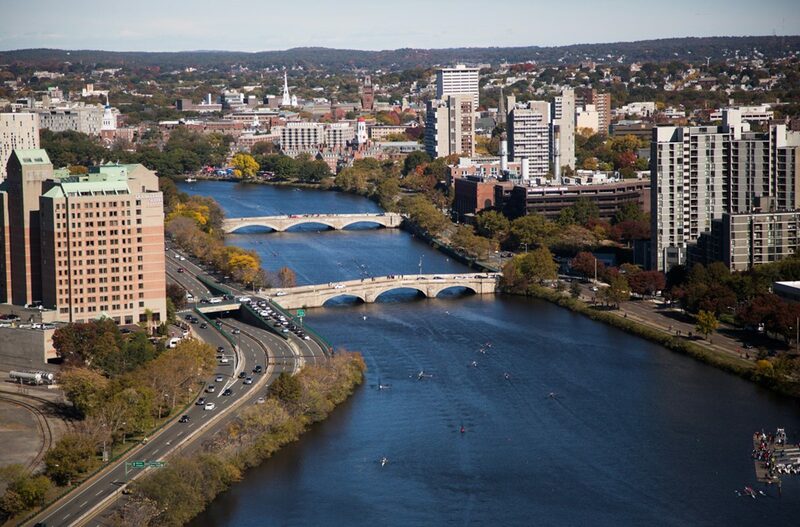 Spectators line the Eliot Bridge to watch the regatta. 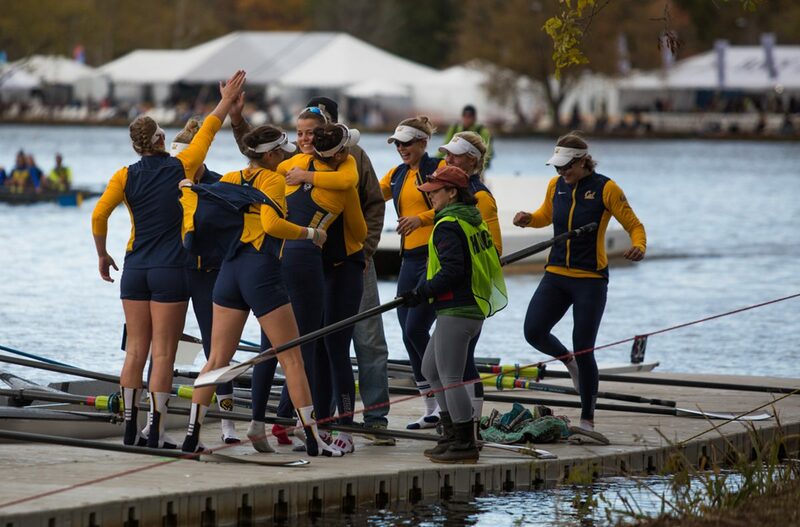 The team from University of Southern California, Berkeley celebrates their victory in the women's eights race. Race director Bob Mannino prepares to hand out trophies. 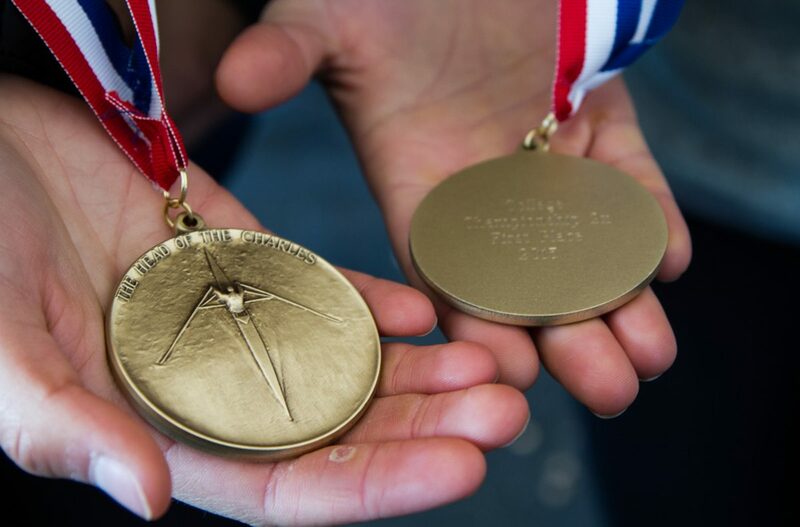 Athletes received medals during the awards ceremonies.